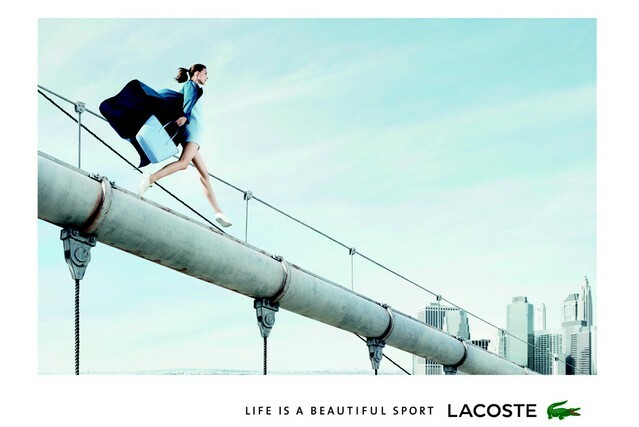 Lacoste previewed its new ad campaign, with the tag line “Life is a Beautiful Sport,” at a party held last Friday as part of Paris men’s fashion week. The campaign premiers on French television on February 7 the same day as the opening ceremony of the Winter Olympics in Sochi, because French athletes will be wearing outfits designed by Lacoste during the ceremony. You can read more details about the campaign launch at Women’s Wear Daily.